UFO SIGHTINGS DAILY: White UFO Seen Over Abilene, Kansas In Aug 4, 2016, Video, UFO Sighting News. 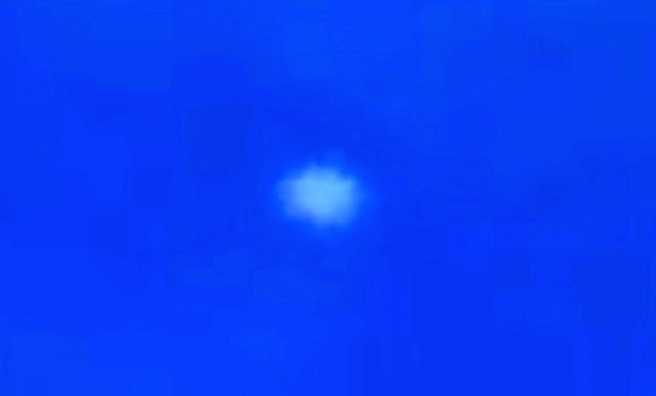 White UFO Seen Over Abilene, Kansas In Aug 4, 2016, Video, UFO Sighting News. This UFO was seen over a small town of Abilene a few weeks ago. Abilene is a secluded town with a low population of only 6,600, so aliens probably thought the odds of being seen were much lower in this particular area. Lucky for us they were wrong. Aliens are not perfect, the do make mistakes and are seen from time to time daily around the globe. They may live thousands or even millions of years, but that doesn't make them gods, just immortals, who are more fortunate than us technologically, that they may have such long lifetimes. I was on a walk in a local park when I notice an odd light in the sky moving over me. I was able to record the object for about minute. After the first object was out of sight two other objects appeared heading the same direction, but too far out of range for my camera to see them.